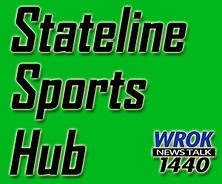 Rockford Sports News: You could win ticket to this weekend's CHICAGO - GREEN BAY Football game! You could win ticket to this weekend's CHICAGO - GREEN BAY Football game! Enter to win at the U.S. Cellular Fan Zone at Friday's IceHogs game! PLUS: Wear you favorite football team's gear to Friday's game and get $3 off at the Box Office. Fleece Glove giveaway for the first 2500 fans! Presented by Ferrellgas and 1380ESPN. Vienna Beef 4-Pack: 4 tickets, 4 sodas, 4 Hot Dogs for just $49!